Tony Stark stands in a board room, holding a piece of paper. Entering the glass walled room is Captain America, in his costume. Both men sit, each at one side of the center of the table, across from each other. Have a seat, Rogers. I know you’re angry about the SRA. So am I? Regulation, am I right? So I brought you in to show you that this isn’t a big deal. Liberty is always a “big deal,” Stark. See, Rogers, that’s exactly what I’m talking about. You’re making a mountain out of a molehill. This is just like the DMV. Did kids drive cars in the 40s? It’s just a form. It’s just a piece of paper. It’s the first step towards something more. I saw that in Germany in the 40s. 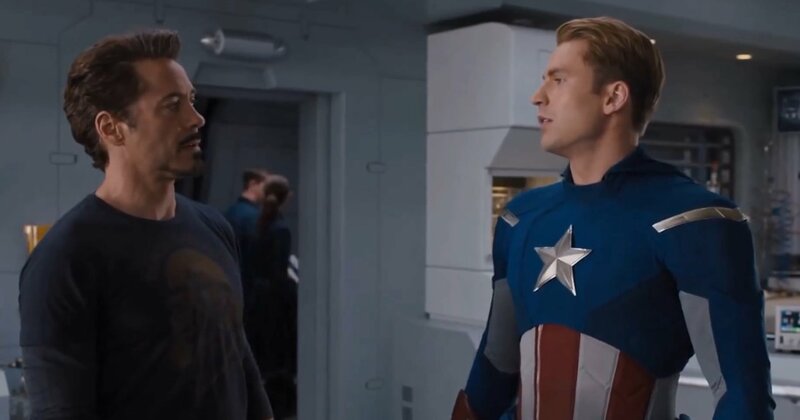 Tony Stark pushes the piece of paper face up, toward Captain America. Come on Rogers. Steve. This isn’t the second coming of Adolf Hitler. Steve, it’s just a harmless government form. May I call you Steve? Steve, just take this form, fill it out, and turn in it. That’s all you have to do. Turn in the damn form. Captain America stands, goes to the door, and stops to look at Tony. Tony, you want the form? Come and take it.